Birthday weekend + #JaiMer Wedding! This weekend was great! Saturday was my birthday and I had the honor of being a part of Jaison and Merin’s wedding (#JaiMer) as one of their emcees. When I came home from work on Friday, Sheena had a special treat for me! It was sooo good. I don’t know if Sheena’s expectation was to share it with her, but I ate it all! After a quick minute of enjoying that lil cake, we scooped up Layla from my parent’s house and all 4 of us headed to the rehearsal dinner. Luckily it was close to the house (at Living Waters Christian Church), so it was no biggie hauling the kiddos with us. After the rehearsal we called it a night since the next day was going to be fairly busy. Saturday morning, Sheena was making chai and I slept in a bit. 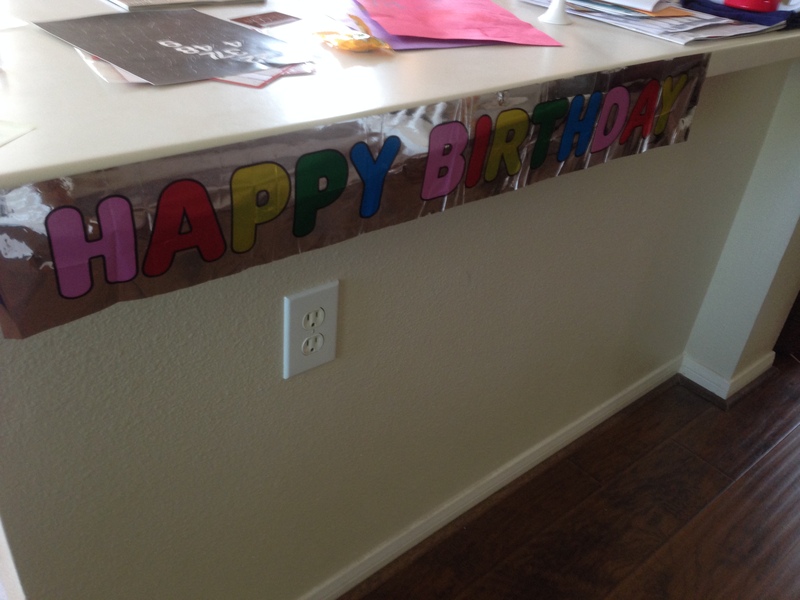 I came out and found that they did some decorating for my birthday! 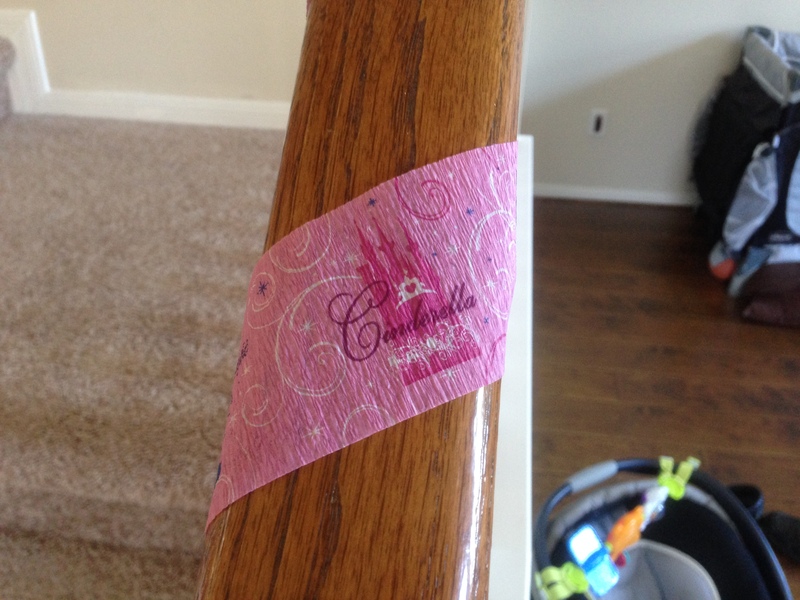 Upon closer inspection, something didn’t look right…..
Cinderella streamers! I specifically said I wanted a Batman themed birthday! 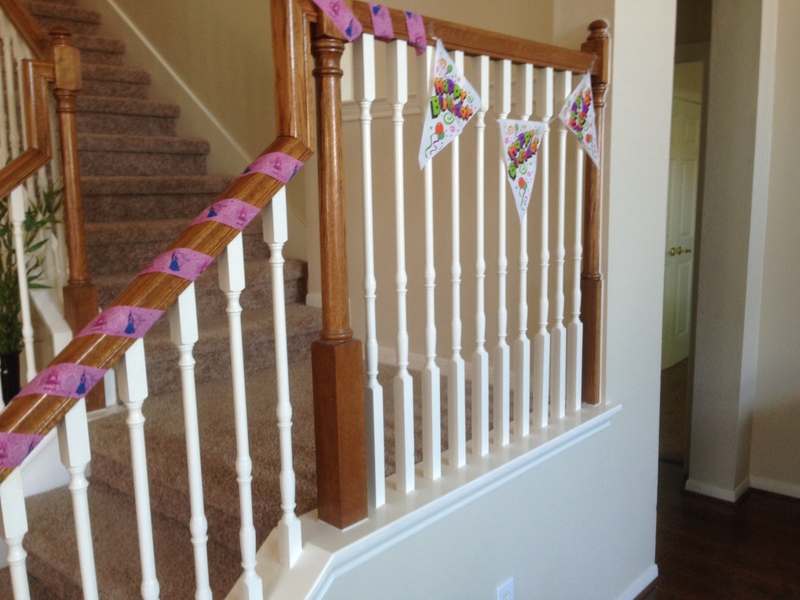 Apparently, we had leftover decorations from Layla’s bday, so it spilled over into mine! 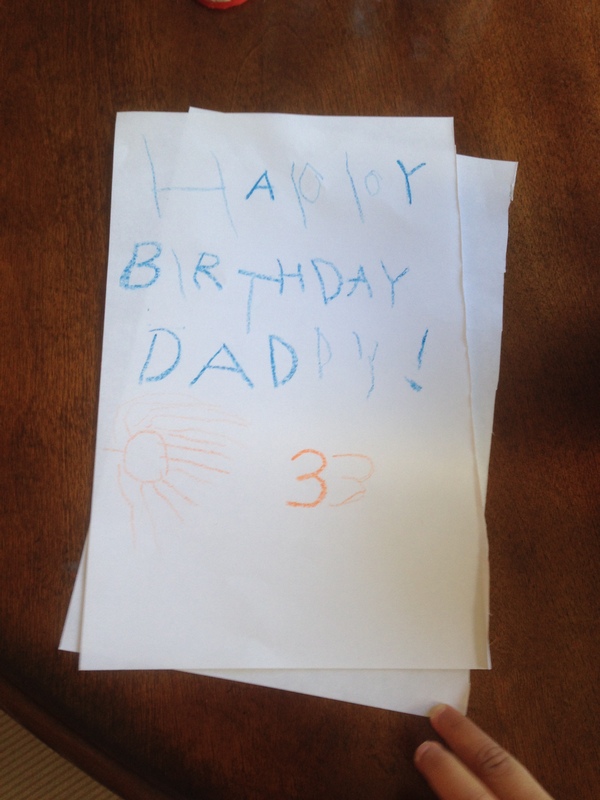 hahhaa… the thought was sweet, none the less… Layla (with the help of Sheena) made me a card as well! The morning was pretty relaxed. Then we got ready and headed out to the wedding. 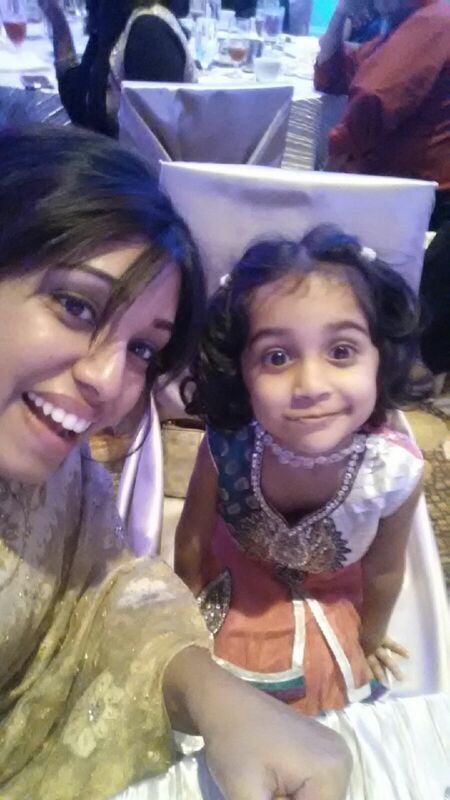 We were really excited to attend and even be a part of the wedding. Since we’ve started going to another church, we never get to see our old friends, so it was great to be able to see everyone again. We love everyone there at Living Waters, so it was a great opportunity to see everyone and show off Ezra for the first time to them! 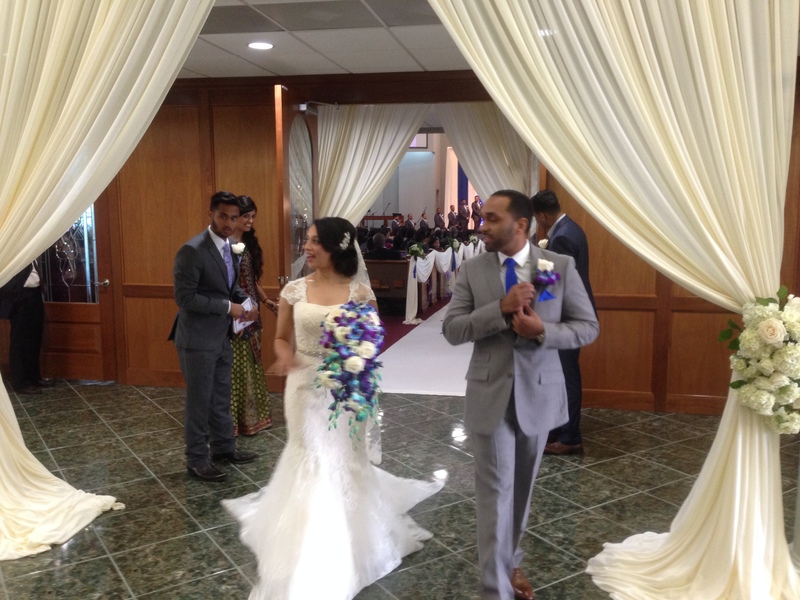 Merin and Jaison did a great job decorating the church for their wedding! The place looked great! 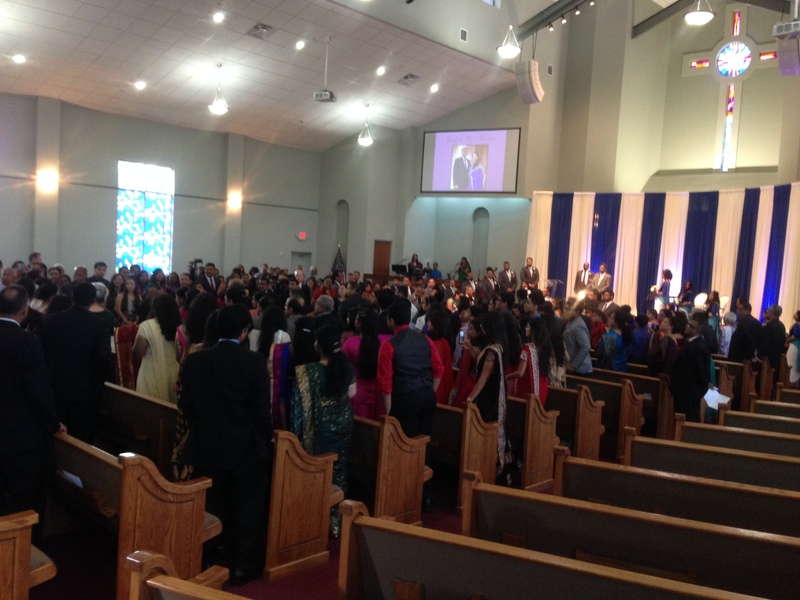 Once the wedding ceremony got started, it flowed pretty well. 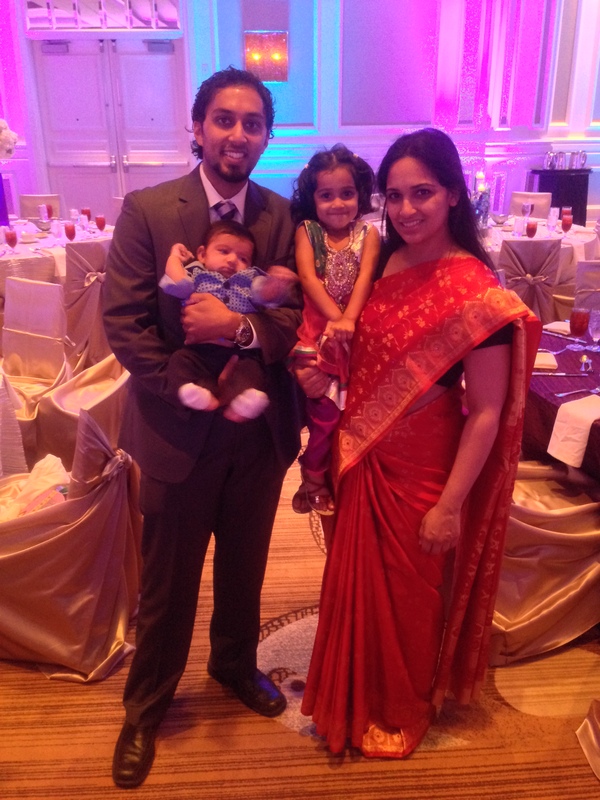 As expected both Jaison and Merin looked great for their big day! 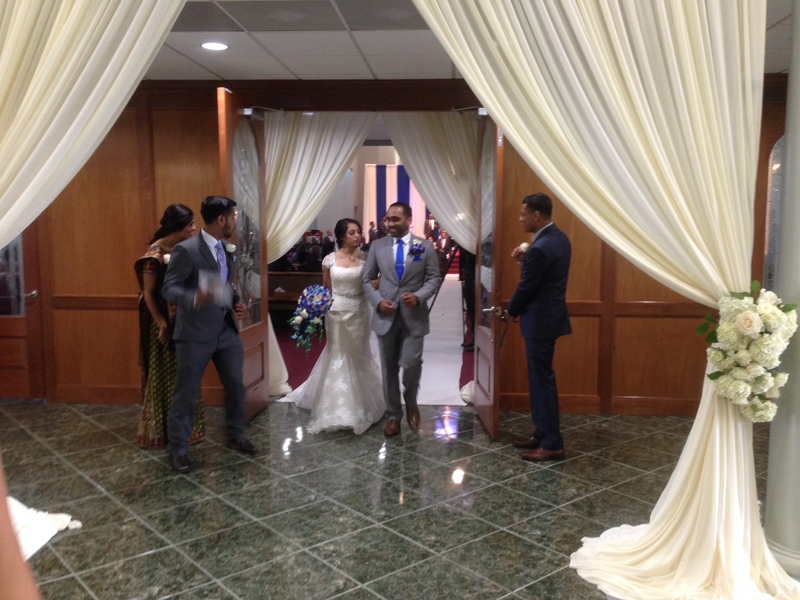 The reception went very smoothly as well. The place looked awesome. 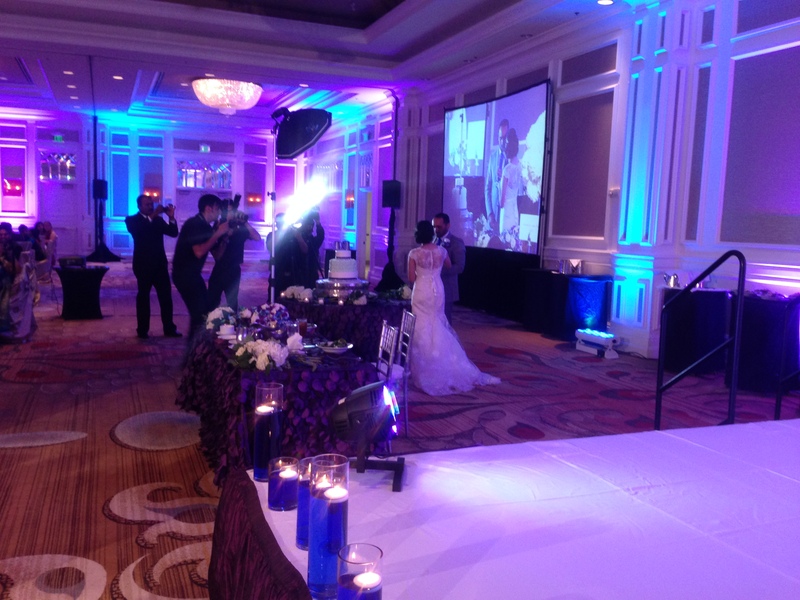 The Sugarland Marriott is already a really nice venue, but when you dress the ballroom up with lighting and drapes, it transforms the place into something even nicer! Throughout the entire wedding and reception, Sarah watched over our lil ones. Layla especially enjoyed her time with Sarah. Since we were all dressed up, we tried to snap our first family pic too! 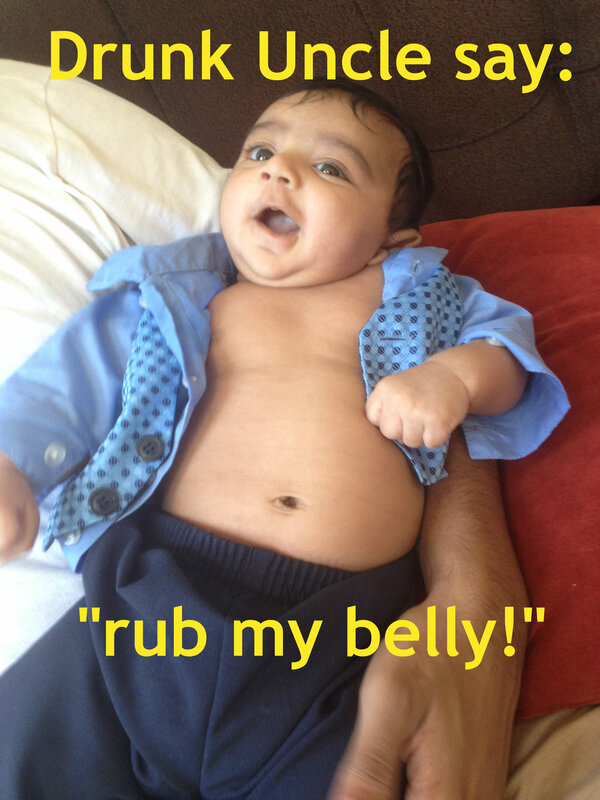 After the wedding, Ezra had a bottle (of Similac) and immediately became “drunk uncle”. After the wedding we had a little bit of down time and then we headed out to Red Oak Grill for a Birthday Dinner Sheena set up. It was great to just spend time with friends. 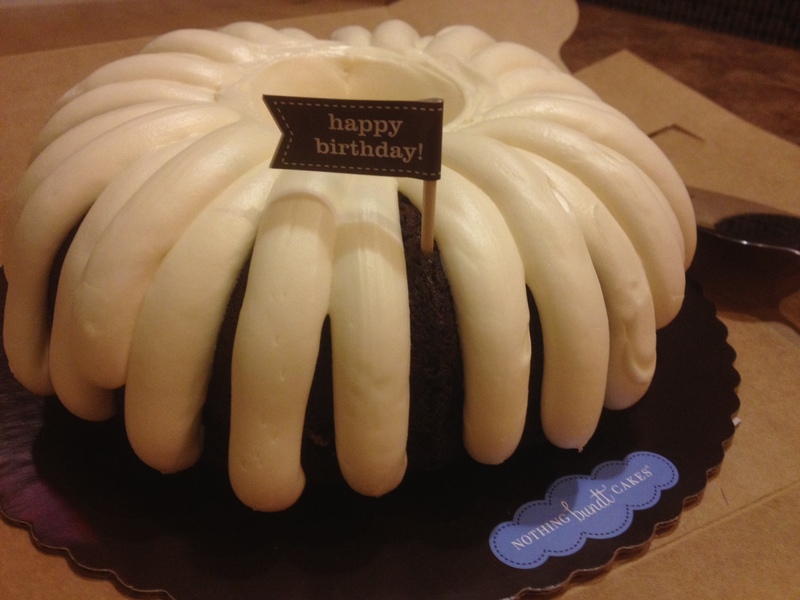 Sheena also picked up another cake from Nothing Bundt Cakes, which was sooo delicious. 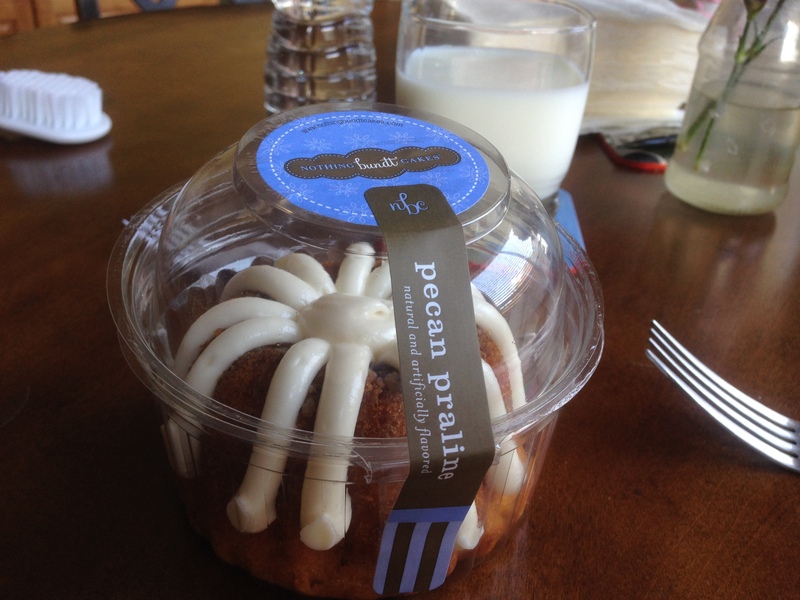 Luckily we have leftovers, so I’m continuing to enjoy the awesomeness of that cake! On a not-so-fun note, Layla was running around and tripped, giving her a cut in her lip. She’s fine, but she was pretty sad for the rest of the evening (as was I). Luckily, Sister (Jolly) was there to check things out along with Manju and Cyndi (who are all in the medical field) to help us feel more at ease about it. Sunday morning was the usual. 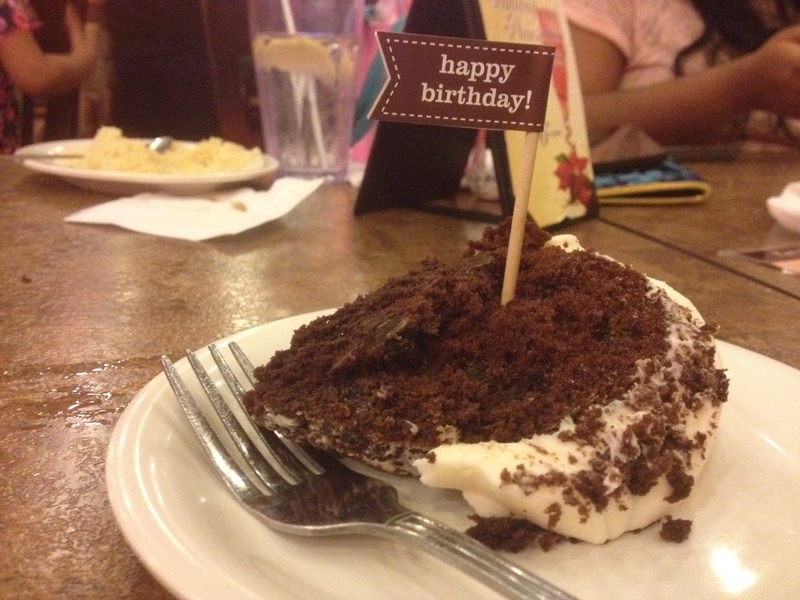 We headed to church and afterwards, we had Mongolian food with my folks to celebrate my bday with them. Afterwards, Sheena and Layla headed to Pearland for one of Layla’s school friends birthday parties. 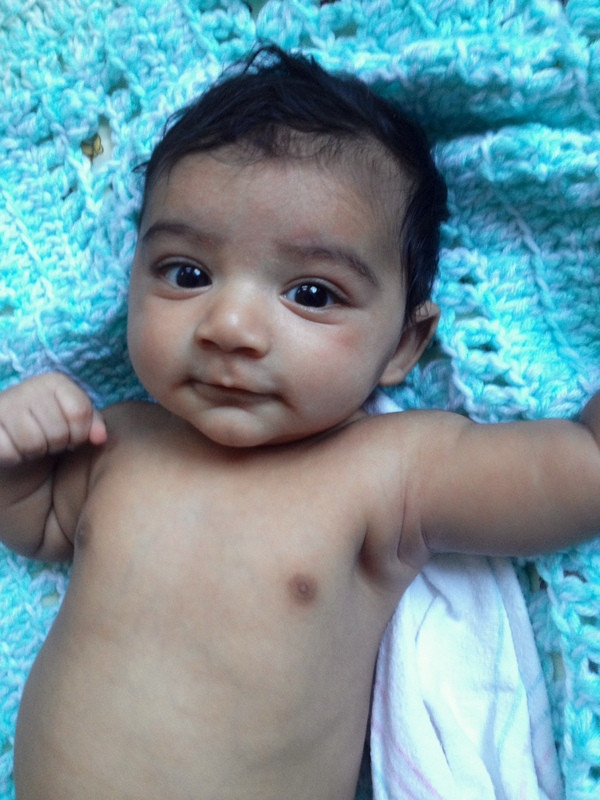 Ezra and I hung out at the house the rest of the day. I didn’t wanna leave you with the “drunk uncle” image of my son, so here’s a cuter pic that Sheena snapped to end this post with! Thanks for all of the well wishes for my birthday! I really feel the love! 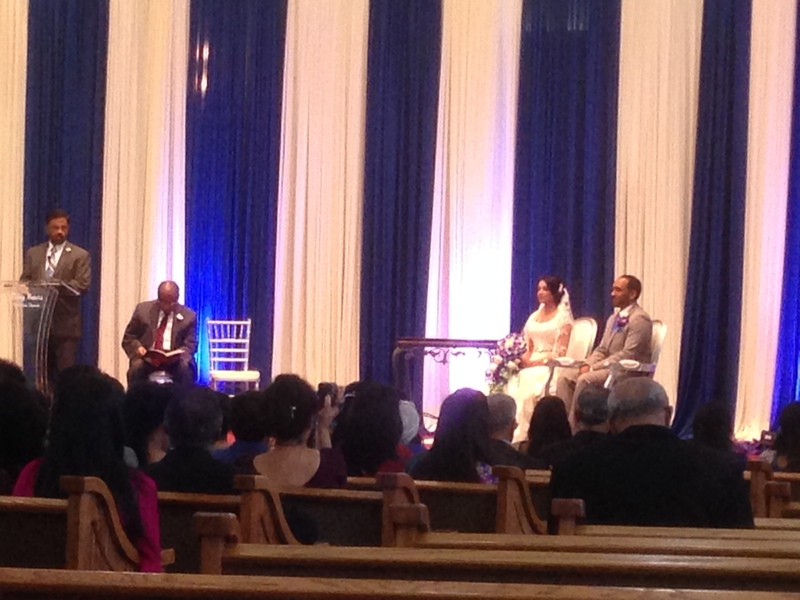 And Congrats to the newlyweds, Merin and Jaison. Thanks for letting me be a part of your big day!